Juicy, tender, pan seared chicken, topped with a lemon-caper butter sauce, served over a bed of pasta! In a shallow dish, mix flour, salt and thyme. Dredge chicken in flour mixture. Melt 3 tablespoons butter in a sauté pan over medium-high heat. Place chicken breasts in pan and sauté until golden brown. Drain excess butter. Place chicken on a plate, lightly cover with foil and set aside. 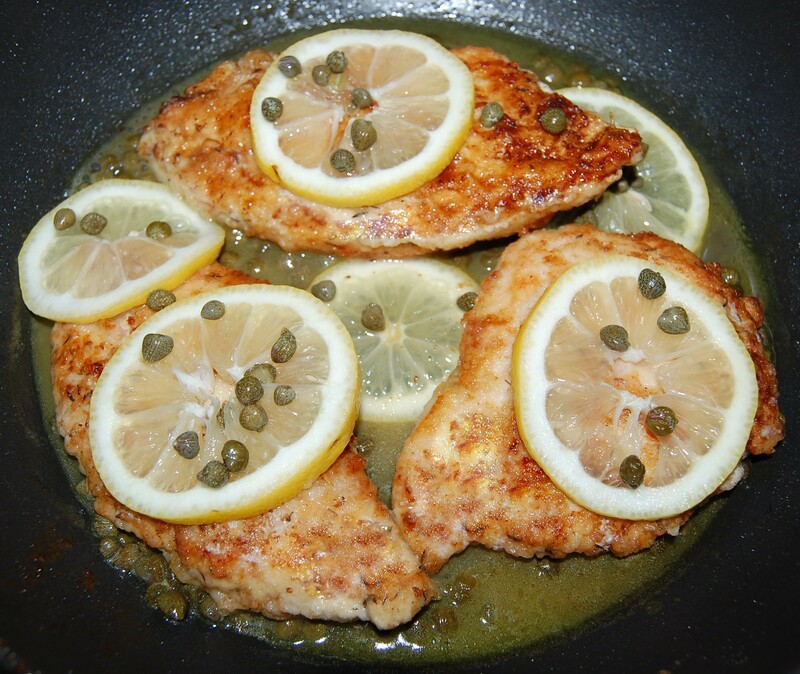 To the pan, add white wine, lemon juice, capers and chicken base (make sure base dissolves to prevent burning.) Simmer sauce until it reduces by half and begins to thicken, stir in 1 tablespoon butter and lemon slices. 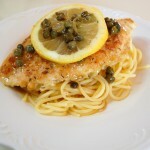 Serve chicken breasts over a bed of spaghetti and spoon lemon caper sauce over each serving.